With our range of forklift hire options, MLA has you covered. Whether you need equipment for a day in Port Adelaide, a month in Londsdale or 5 years in Regency Park, MLA is your trusted source. We also provide a wide range of high quality Mitsubishi engine and electric forklifts at short notice across Adelaide and throughout SA from MLA. With fast and reliable service to areas like Elizabeth, Wingfield and Edwardstown you will never have to be without your equipment again. Covering both your immediate and extended needs, MLA offer short and long term forklift rental as a cost effective solution for your business. We also include all required servicing and breakdown repairs 24/7 in our rental to give you peace of mind. Call today and we will happily arrange for the MLA team to provide you with an obligation free needs assessment and quotation. 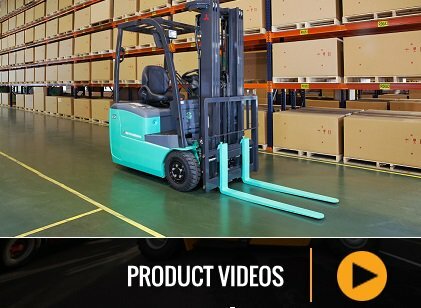 With a commitment to providing customers with cost effective and flexible forklift hire, MLA has built a reputation in the industry for unparalleled customer service. Work with us and see the difference. With mobile service vans on call in most areas you can get your forklift repaired or serviced almost anywhere. Call now for service in Elizabeth, Wingfield, Londsdale, Edwardstown, Regency park and Port Adelaide and throughout SA. MLA mobile technicians are highly trained and qualified to service and repair all makes and models. Call us now. 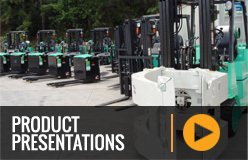 MLA has a comprehensive range of new forklifts for sale or hire. Whether you're looking for Mitsubishi battery electric models or Vulcan heavy container handlers, we have a number of forklifts to suit your material handling requirements. MLA can also provide you with a wide variety of pre-owned and used equipment for sale. All used forklifts are reconditioned to brand specifications and may include warranties on major components. Because we are Australia's exclusive supplier of Mitsubishi and Vulcan forklifts, you are assured of the highest quality workmanship and an accurate representation of equipment condition.